Here’s Balboa Mist OC-27 by Benjamin Moore in context of its Hue Family neighborhood, 2 Y on The Color Strategist Color Wheel. The pink arrows point to where Balboa Mist OC-27 fits in among the other colors according to its Value 8.40 (rounded 8.38) and Chroma of 0.62 rounded to 75. All about Balboa Mist OC-27 from Benjamin Moore. Balboa Mist belongs to the yellow hue family over near the yellow-red hue family, as you can see on The Color Strategist Color Wheel above. Some people describe it as lavender, some call it a pale plum-brown. In a balanced quality of light Balboa Mist is going to look like a near neutral warm gray-beige, it could possibly have moments of peachy-pinkish overtones. If you do any research on this color, you will find people quite adamant that it has “no undertones” it’s just a “greige”. While others will report that it looks purple. That’s because of its hue family and because it’s a low chroma color. How -or if- it shifts or shows moments of overtones is determined by the light. The light is boss and Balboa Mist is known to be an inconstant, chameleon color so test thoroughly in your space. Paint a sample so you can move the color around the room. I recommend SwatchRight Paint-Peel-and-Stick Color Sample Decals. 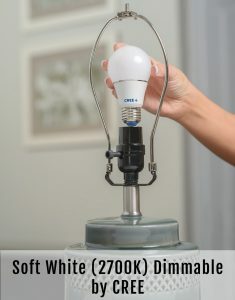 Don’t choose the best lit wall in the whole room and test it in that one spot directly on the wall, you have to move this one in and out of the shadows. I’m attracted to like colors that shift to purple. I don’t mind seeing flashes of purple and I seem to be consistent with the way that I have decorated my house. Very interesting.